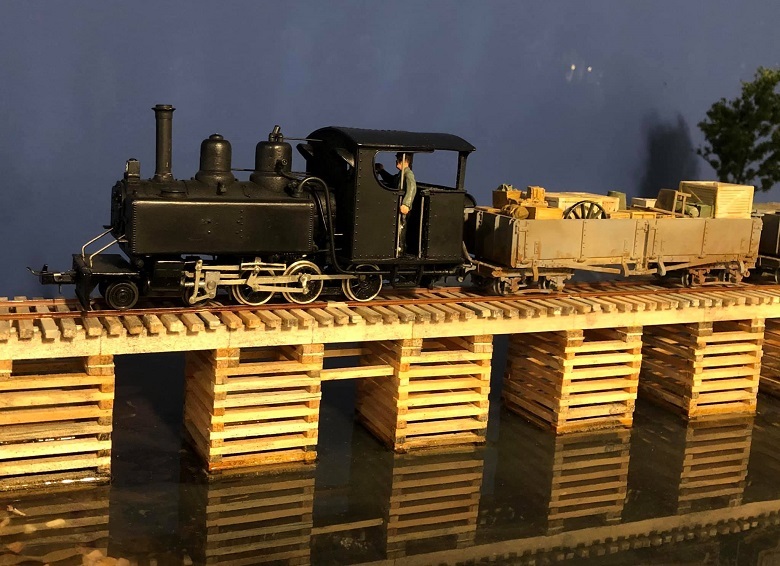 Good to see your modelling and how well it reproduces the equipment used by the British and Dominion railway units in 1916-1918. However I would not agree with your assertion that in 1918 the railways ran in un-scarred land compared with 1914-17.
and really only made an impact from late 1916 onwards. until late 1918 and the British breakout following the battle of Amiens. 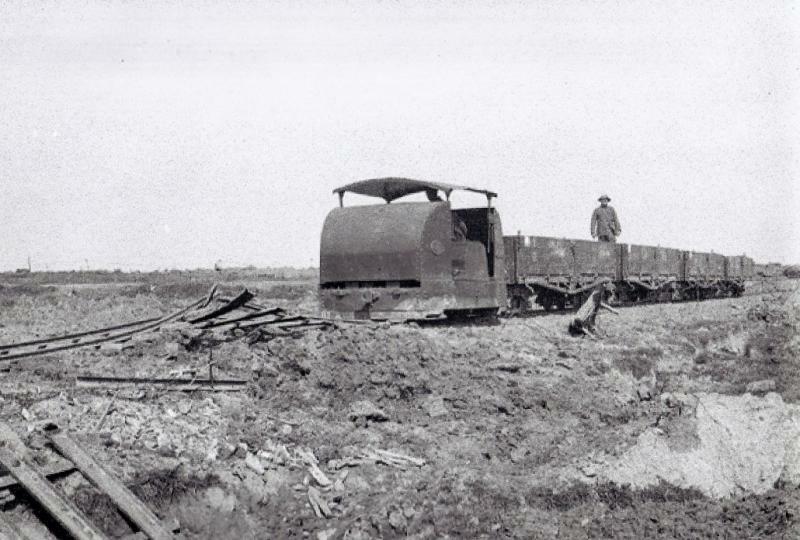 This left the rail systems behind as trench war broke down. and clearly shows a "tin turtle" in a sea of mud somewhere near the front. Not sure if you saw the link to the video I posted. It is a good watch. This video is the best thing I have to go on. Yes I did see the video and it is very good. as I have seen the odd clip in recent TV programmes. which give much of the background you would need. I can give you details if you need them. I have the two WDLR books by Roy Link and have spent hundreds of hours on the IWM site. It would be great if the IWM would post more in the future. I am also hoping to get to the Canadian archives in Ottawa to see what they have hidden. I also have the two Roy Link books (WDLR Handbook and Album). They are very good and give me a real insight into the operations and equipment used in the Great War. by Martin and Joan Farebrother, and published by Pen and Sword Transport. The first two are the Narrow Gauge in The Arras and the Somme sectors. especially in the sugar beet industry and what is in existence today. Not sure if they are in print, but the Plateway Press “Narrow Gauge at War“ and “Light Track from Arras” are also very good. I suspect between these and maybe a few others, they cover most of the known photos of these operations. Although there seem to be some surfacing from the collections of the APPEVA at Cappy-Froissy in Somme France. There is quite a lot of preserved rolling stock around and I could get some photos if you wanted. Latest acquisition to the fleet. It needs some modifications and DCC / Sound installed. The kit is discontinued but I was able to purchase this built version. Very nice! A great find indeed. 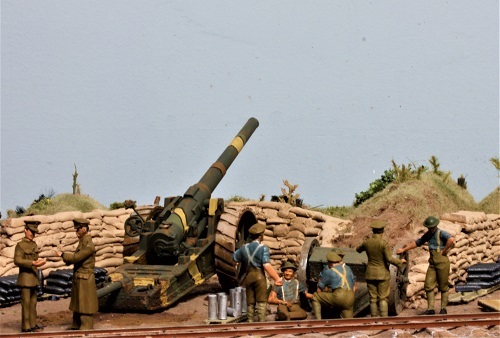 Supplying the artillery was the largest customer on this RR. Fine modelling Larry and great composition in the latest photos.